Watch this space for news of family community events. Come and have a crackin’ bit of Easter fun for all the family with face-painting, games, egg decorating, LEGO® challenges as well as space to find some quiet. All the activities are FREE and the refreshments are pay-as-you-feel. 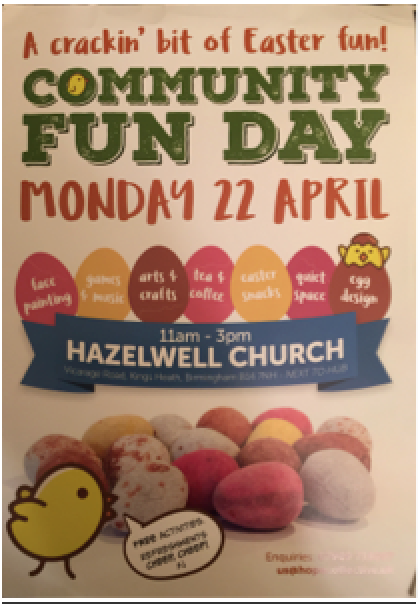 Join the fun at Hazelwell Church and Hub anytime between 11am-3pm on Monday 22 April. See you there! Enquiries: us@hopecollective.uk.